The Bidens had been providing foster care for the dog in their home for several months and were ready to make the adoption official. Former Vice President Joe Biden has a new four-legged family member. The Delaware Humane Association said Saturday that Biden and his wife, Jill, have adopted a 10-month-old German Shepherd named Major. Director of Animal Care Kerry Bruni said the Bidens had been providing foster care for the dog in their home for several months and were ready to make the adoption official. Bruni said the former vice president reached out to see if he could help after the association posted on social media earlier this year that it had received a litter of sick German Shepherd puppies. 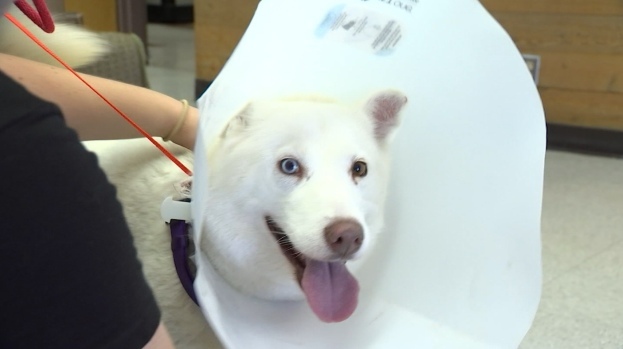 Kate Rivera had an instant connection with this husky, so she decided to adopt her from the Irvine Animal Care Center during Clear the Shelters. Biden recently returned to the campaign trail to stump for Democratic candidates and has said he expects to decide whether to seek the 2020 presidential nomination by early next year.